after teaching blogshop so many times in los angeles, we decided to switch up the location to keep things new. check out those striped fabric chandeliers rebecca hung from the beams! 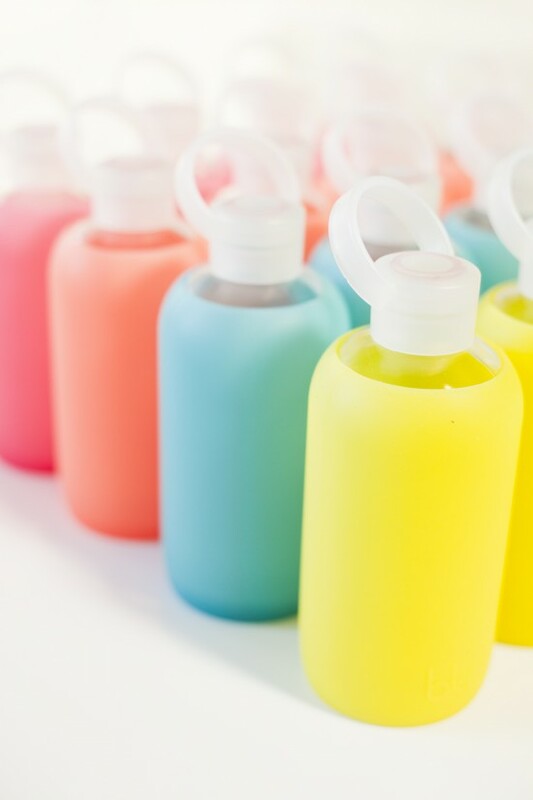 i can’t get over how cool these glass & silicone bkr water bottles are. i would have one in every color if i could. our students were greeted with these bright bottles at their seats. take a look at their color chart and see which one you like the most! i’m really falling for amelia presents. it’s a little online shop (and brick and mortar in mississippi) with the best stuff. the owner erin really has an eye for picking her merchandise. 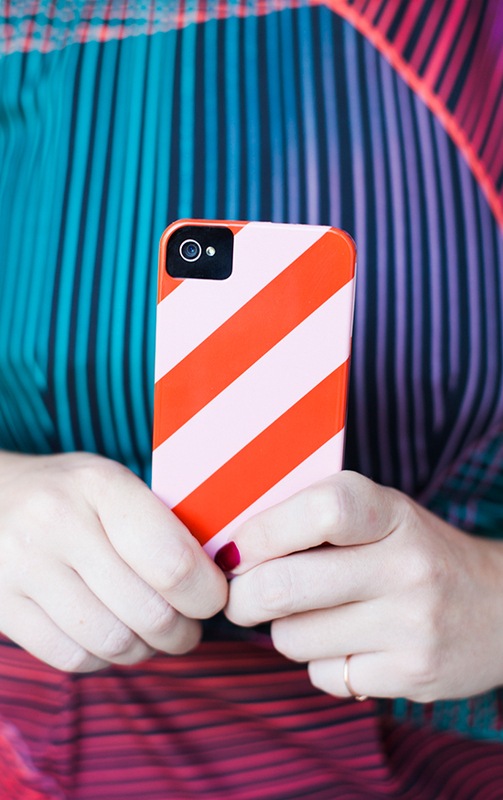 for our LA class she sent these adorable pink and orange striped iphone cases. i have one on my phone right now. 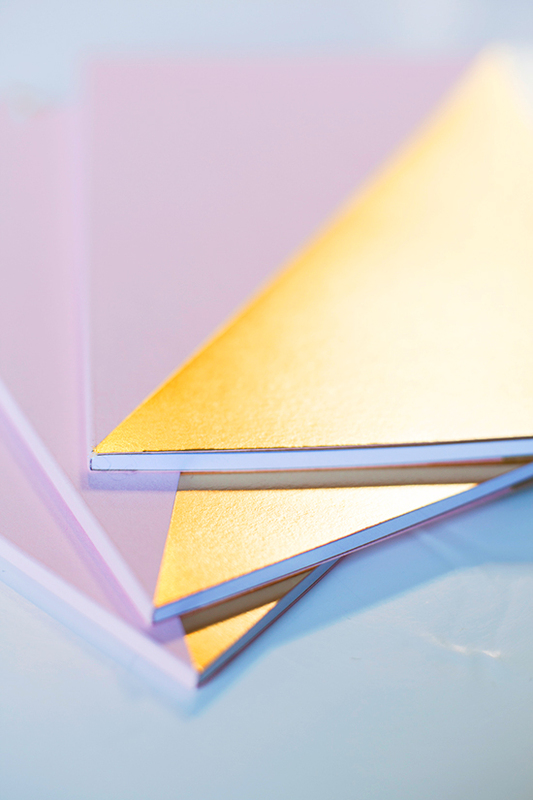 and these gorgeous gold and pink journals were also a big hit. furbish has some really great home decor. 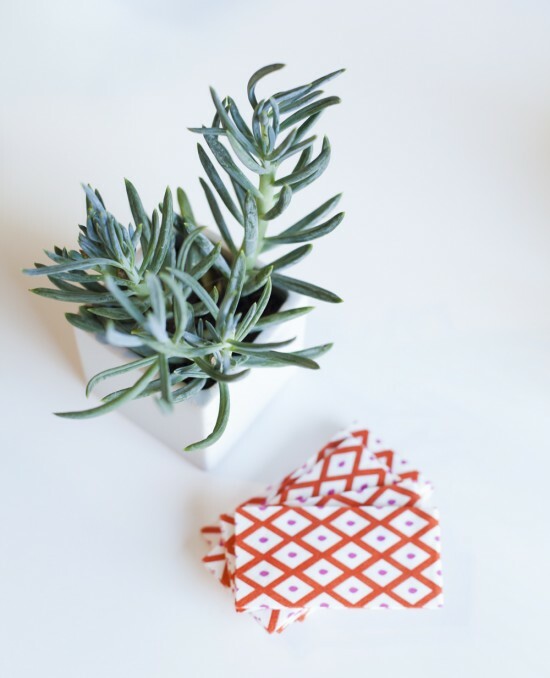 how about some patterned trays and tissues? 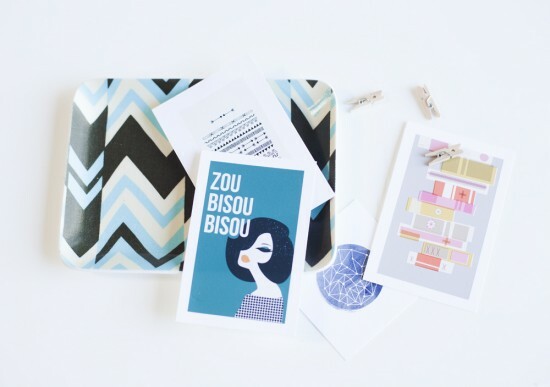 minted was kind enough to treat our students to more of their mini art prints for their inspiration boards. do i spy a mad men reference in there? i thought it would be really helpful for the students to hear from joy (oh joy!) on their lunch break. she came to talk and answer questions about blogging and her new book, blog inc. our friends at chronicle books sent each of our students their own copy. have you guys read it yet? i have been blogging for years and found it really entertaining & helpful. we have 5 classes up for sale right now. 1 spot left in our sydney class! (request your city if you want us to come teach there – we are always looking for new locations to travel to.) we have been working on our new blogshop website – i can’t wait for you to see it soon. to sign up for blogshop follow this link and learn what we are all about. see the class photos from ALL of our classes on our facebook – and make sure to tag yourself too, k? These classes always look like such a ball! I’ve been waiting for Blog, Inc. to come out forever and it seems I’ve missed the fact that it already has… need to go get a copy ASAP! it was a thrill to be part of this class, and I can’t wait to take the video class next time around! And I second how much we loved all of those goodies, loved hearing from Joy, and loved the entire experience 🙂 thanks again! One day I will go to a blogshop! Everything always looks so amazing and fun! The iphone cases really caught my eye! I’m saving up my pennies to attend blogshop. It looks amazing! P.S. I need to get my copy of Blog, Inc. ASAP! Amelia Presents is an AMAZING store! Erin curates so well!!! 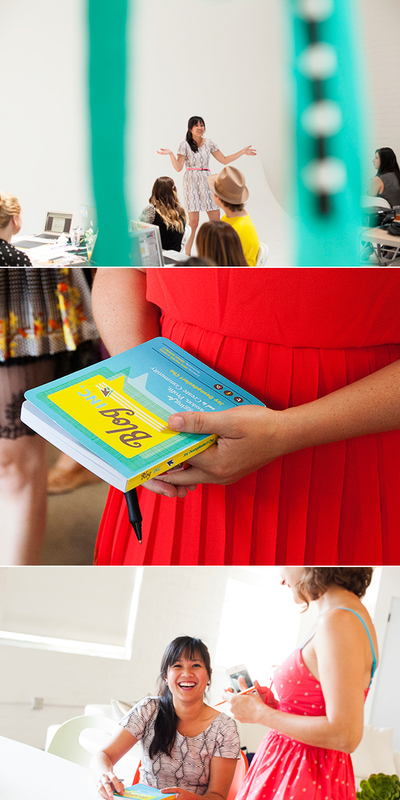 Blog Inc. is definitely on my reading list! Looks so fun, and I agree with everyone else re: great choice products and partners. It all looks great! an opportunity to even migrate still. I’m an enormous slacker, I know.